EBJI » Beane wins Bronze at the USJF Jr. Nationals! 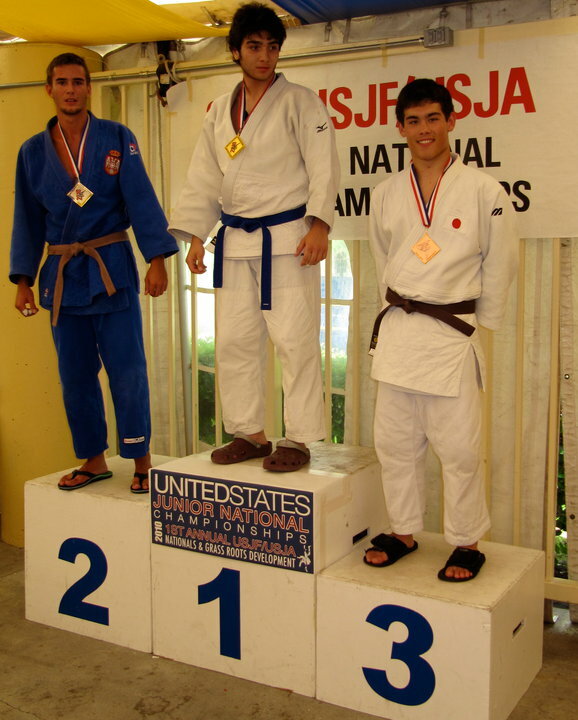 You are Here:EBJI >> News >> Beane wins Bronze at the USJF Jr. Nationals! Beane wins Bronze at the USJF Jr. Nationals! Comments Off on Beane wins Bronze at the USJF Jr. Nationals! Beane had 9 people in his division and went 2-2 for the day to win his first Junior National medal. In his first match, Beane pinned his opponent for ippon within the first minute to advance to the semi-finals where he threw his opponent with a huge ogoshi for ippon (full point). In the finals, Beane was thrown for 2 wazari scores and was forced to drop down to compete for silver and bronze. In his final match, Beane was thrown for ippon but won a bronze medal because he had made it to the finals earlier. Beane shows great promise for the future- having only been doing judo off and on for 3 years, his first Junior National debut was impressive, given that most of his competitors have been doing judo their whole life. Also representing EBJI were Brandon Izzo and Jackson Kim. Izzo competed in the Juvenile B 60kg division and Kim competed in the Intermediate B 34kg division. Both Izzo and Kim showed great spirit and sportsmanship. Although they didn’t come home with a medal, they gave it their all. All boys showed vast improvement from last year’s junior nationals and show much promise for the future.